The Legal Assessment Tool (LAT) for gender-equitable land tenure was developed by FAO’s Gender and Land Rights Database (GLRD) for the purpose of providing prompt, targeted and effective policy advice and capacity development to FAO’s Member countries working towards gender-equitable land tenure. 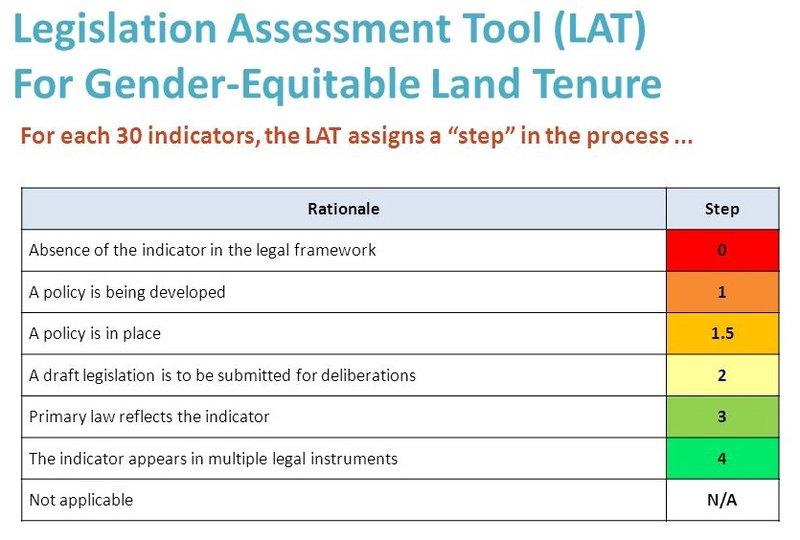 More information can be found in the FAO Legal Assessment Tool (LAT) website and in the Land Library Resource: "What is the Legal Assessment Tool (LAT) for gender-equitable land tenure? ".